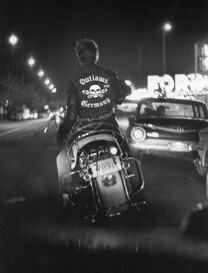 The McCook Outlaws Motorcycle Club is established out of Matilda`s Bar on old Route 66 in McCook, Illinois outside Chicago. 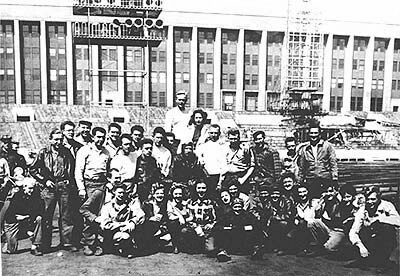 Although the Club stayed together during World War II, like most organizations at that time, the Clubs activities were limited. 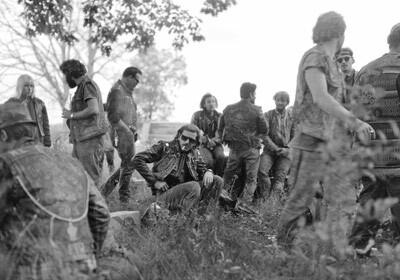 In May of 1946 the first major post war motorcycle event in the midwest was held at Soldier Field, in Chicago. 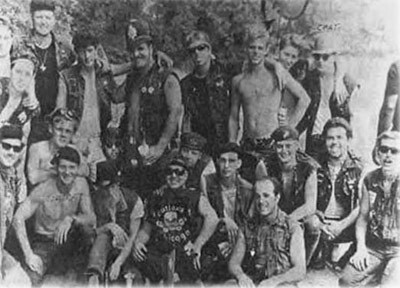 From its` original charter members of 1935 the Club grew in size, with members from all over the Chicago area. 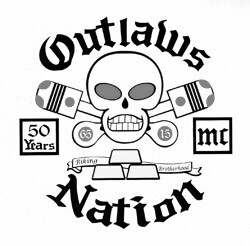 The Club decided to change its` name from The McCook Outlaws to The Chicago Outlaws and moved out of McCook, re-establishing itself in Chicago. 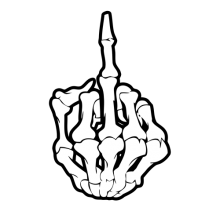 It was also decided to completely change the Club logo. 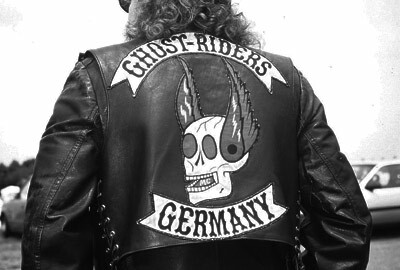 A small skull replaced a winged motorcycle and old english style letters were adopted. This design was embroidered on a black shirt and hand painted on leather jackets. The Crossed Pistons to the original small skull. This design was embroidered on a black western style shirt with white piping. 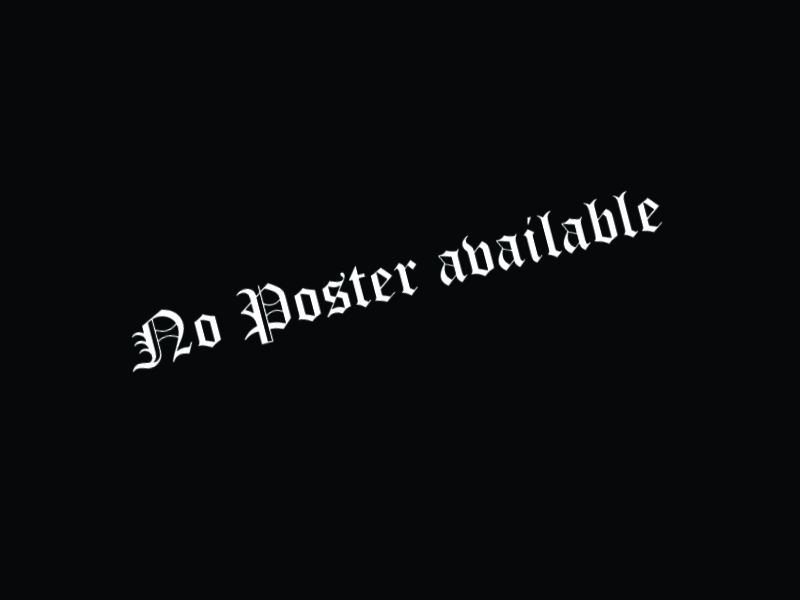 Picture Copyright © 1953 The Stanley Kramer, Inc. 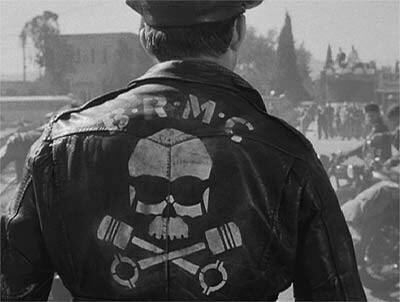 The movie "The Wild One" with Marlon Brando influenced this backpatch. The Skull and Crossed Pistons were redesigned, making them much larger with more detail. The A.M.A. 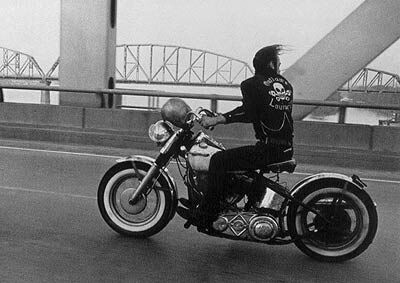 American Motorcycle Association, that supervises all official races in the USA - banned the word Outlaws from all race clothing. There for all racing club members wore the sign OMC on their outfits till 1963. 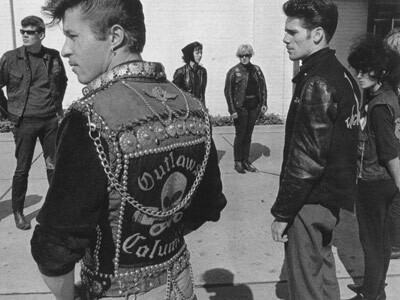 The Outlaws became an official member of the 1%er Brotherhood of Clubs, making it the first true 1%er Club east of the Mississippi. 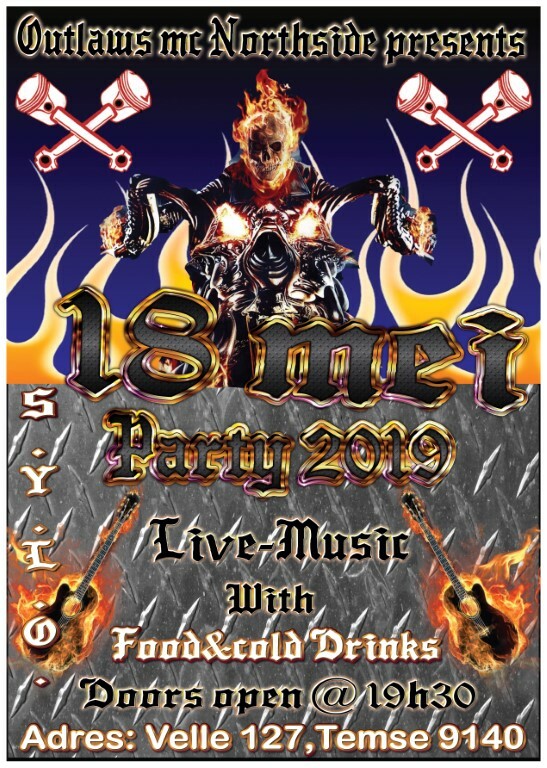 On the 4th of July, the "Gipsy Outlaws" from Milwaukee join the club. During the Springfield Motorraces in august they are followed by the "Gypsy Outlaws" from Loisville. 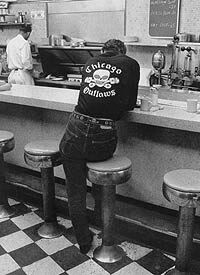 (they had no former contacts at that time with the Milwaukee Club) The "Outlaw Nation" was founded with Chicago as Mother Chapter. 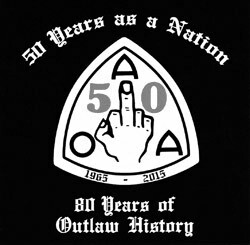 On the 1st of January 1965, the AOA - American Outlaws Association - was born. 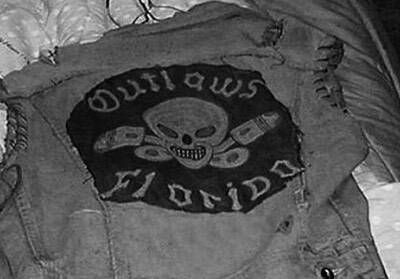 The backpatch of the club, skull and crossed pistons, is named "Charlie"
In July 1967 the Outlaws National President and a few more members came down from Chicago, and we were the first chapter sanctioned in Florida. Foundation of the first chapter outside the USA in Canada. 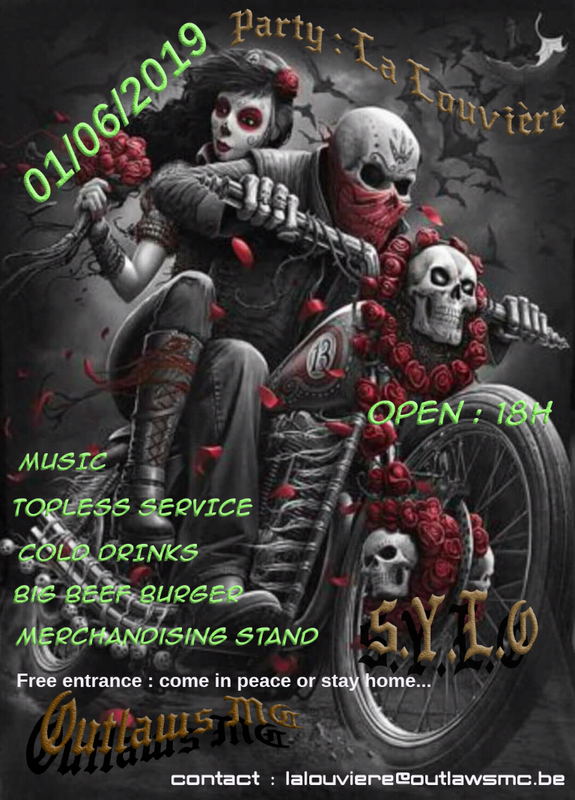 The "Satan's Choice" becomes Outlaws MC. France becomes the first european chapter. 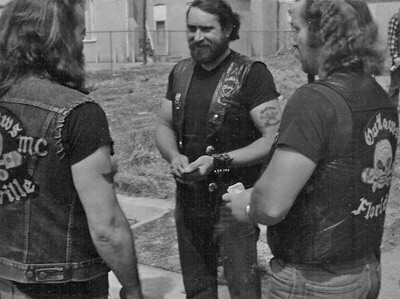 Foundation of the overseas chapter by the "Australian Outlaws" on the 5th continent. Also the "MC 44" from France becomes the chapter. On their backpatch "Europe" is added. As the chicago chapter is growing, it's split into three groups: Mother Chapter (Southside), Westside and Northside. Norway becomes the second european chapter. 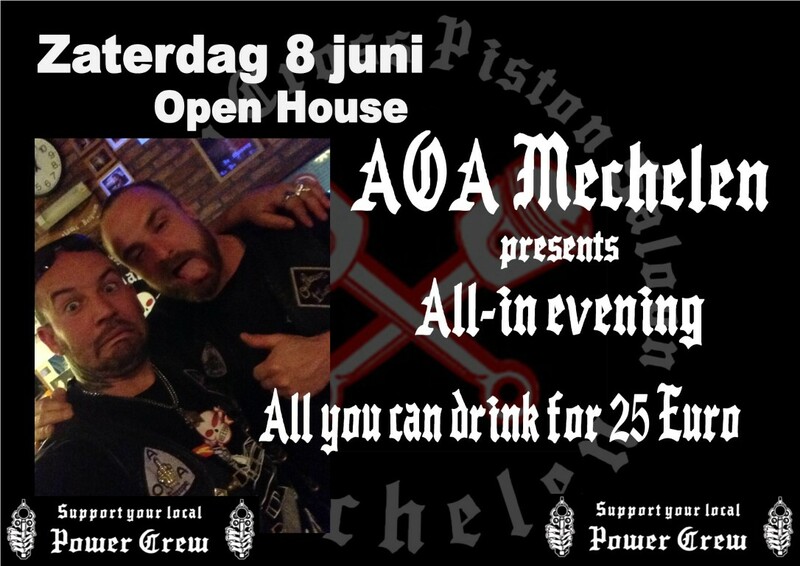 The belgian "Outlaws MC", that already exists independently for 25 years, becomes member of the AOA - at that moment, it is the only chapter in Europe. 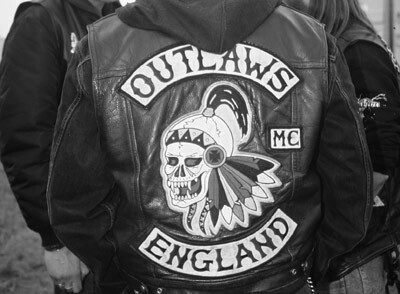 The english and welsh "Outlaws MC", till then an independent MC, join the AOA. Later that year, Norway is added again as the first scandinavian chapter. In many countries in Europe starts new chapters. Ireland and Jersey. chapter in Thailand and a second scandinavian chapter in Sweden. 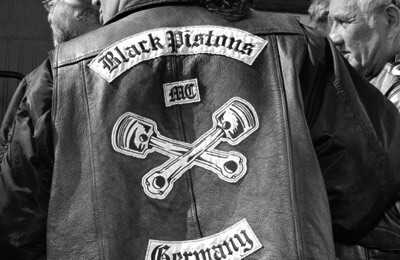 In Germany starts the first offical Support MC (Black Pistons MC) of the AOA Nation. 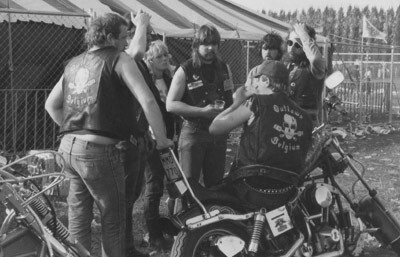 The Outlaws MC is represented in 19 states in the USA. End of 2004 - the A.O.A. starts the first prospective chapter in Russia. 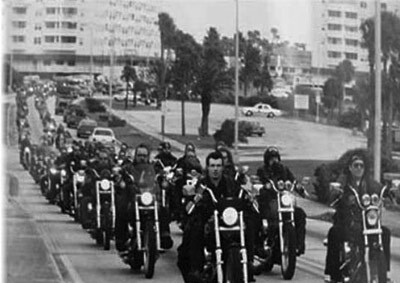 Biking & Brotherhood since 1935. Charlie is landed in Russia. Russia get the fullmember Status in June 2005. End of 2006 - the A.O.A. starts the first chapter in Japan.